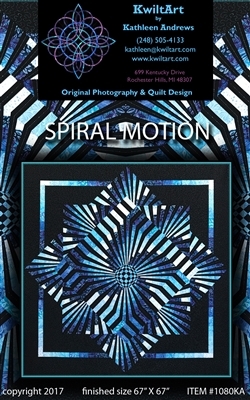 Spiral Motion is a larger version of Spin Out and creates even more dramatic optical illusions. 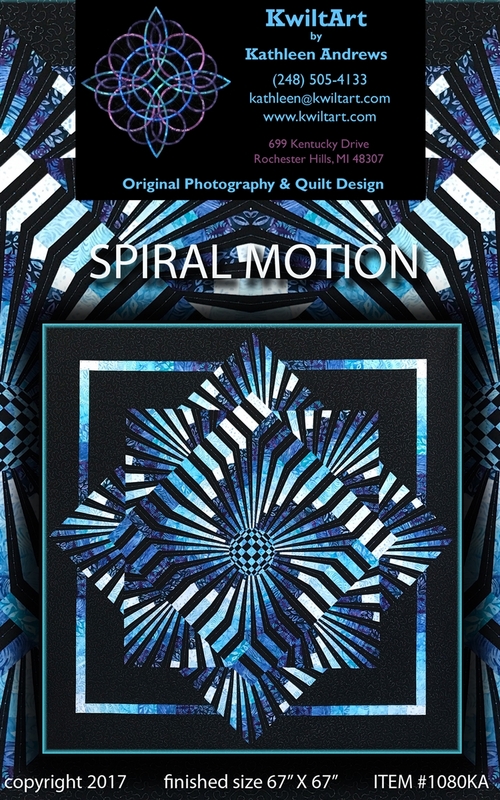 It is easily created with freezer paper templates and strip piecing with shading using a bargello type technique. Intermediate Finished size 67" X 67"